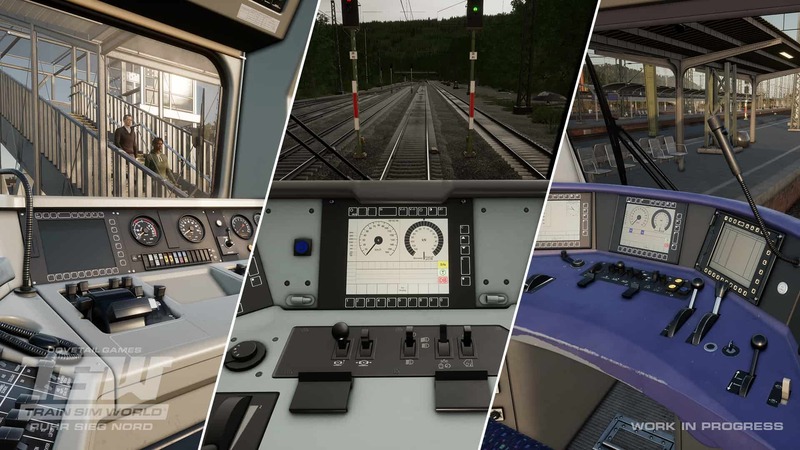 It’s been a busy month for Train Sim World with the launch of the full product onto PlayStation®4, Xbox One and PC, for full details please click here. Once again, I’ve managed to grab a few minutes with Senior Producer for Train Sim World, Matt Peddlesden, to find out what the team have been up to behind the scenes. Hi Matt, can you please let us know what you and the team have been up to this month and your thoughts on the launch of Train Sim World? Hi Steve, the team have been working hard on the upcoming Ruhr Sieg Nord route announcement, featuring the DB BR 185.2 and the DB BR 143, implementing and building on the SimuGraph developments we implemented on the West Somerset Railway as discussed previously here and here. The DB BR 185.2 as it looks in Simugraph. Open image in new tab to enlarge. The DB BR 143 as it looks in Simugraph. Open image in new tab to enlarge. Ruhr Sieg Nord has really come together as we envisaged, delivering a combination of grimy industry and spectacular scenery with tight curves through a meandering valley providing some breath-taking views. We're really enjoying the driving experience. 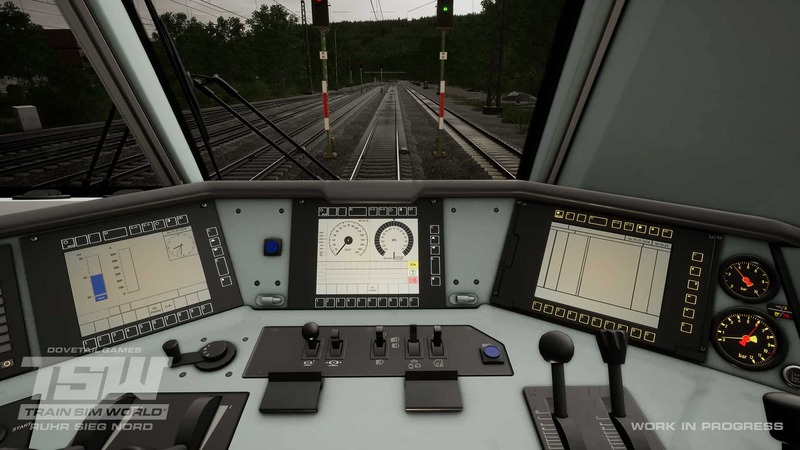 Mastering the DB BR 185.2 and the DB BR 143 using our much-revised implementation of PZB, combined with some major changes to the signalling system, is a challenge we expect will test even our most experienced players. Add in the bonus of driving from the DB BR 767.2 Control Car and you’ve got three distinctly different driving challenges to look forward to. Left, DB BR 143 cab. Centre, DB BR 185.2 cab. Right, 767.2 DABpbzfa cab. It sounds like the PZB and German Signalling systems have made big steps forward since Rapid Transit and I’m sure that the next big question I’m going to be getting a lot is whether and when these improvements will be coming to Rapid Transit and the DB BR 1442 Talent 2 EMU? Unfortunately, the nature of the required changes is too substantial for this to be quick fix so it's not going to be something that happens soon. Most of the improvements are in the signalling system and this may end up requiring a complete re-signalling of the Leipzig S2 route to take on the changes. We're not ruling it out, but we simply don't have resources available to undertake a project of that magnitude right now. Upgrading the Talent 2 will be a simpler job but would need to happen after the route work has been completed. Thanks Matt, and what has the Train Sim World launch looked like from the team’s perspective? Is the plan to release a route editor in 2018 and will we see any of these tools come to the console release eventually? 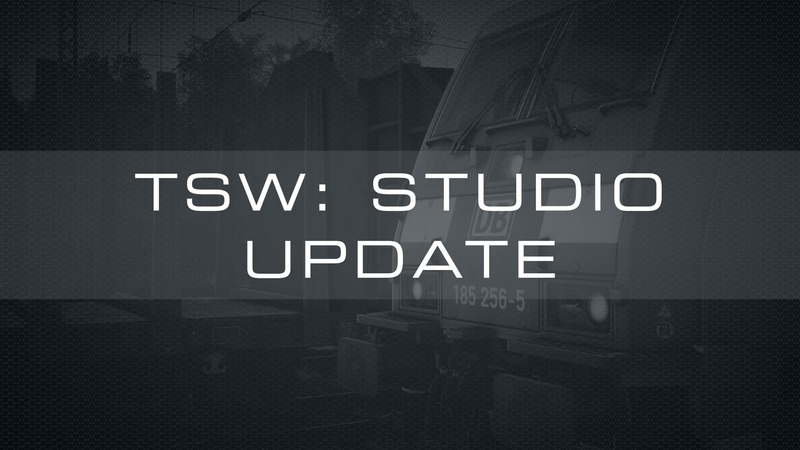 Content editing tools are definitely coming for TSW - we don't have a release date planned for them yet as we have some technical issues to work through to make sure that they will be able to do the things that we know our creative community want to be doing with them. We are planning on talking to the community as soon as possible to tell them more about the plans and what they can expect. The tools are based on the Unreal Engine 4 Editor and anyone wanting to get a head start should really go ahead and download the UE4 editor from unrealengine.com and start learning how it works so that when our tools come along you'll already have a head start. The UE4 Editor doesn't work on consoles, so the full content creation experience will be exclusive for the PC community, but we are keeping console owners in mind as well and working out what we can do there perhaps for the future. 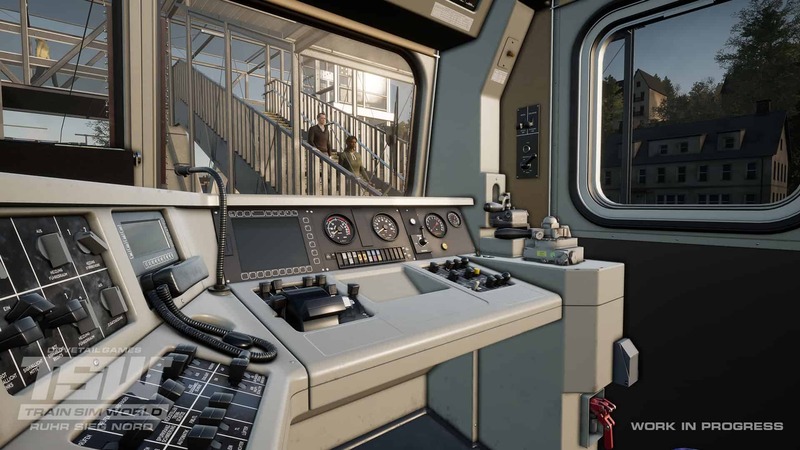 Not yet, the overwhelming feedback from our players is about broadening the range of routes and trains available to engage more people’s interests and to advance and improve the features and game modes of the single player experience that provides the core of the game. We are still keen to get Multiplayer in the game though and have put a lot of thought in to how it will work ready for when we think it's the right time. We’ll continue to keep everyone as up-to-date as possible moving forwards in these monthly studio updates and please keep your feedback coming in on our dedicated forums, thanks Matt.